Unzip the file. If you are using Windows XP, Windows Vista, or Windows 7, double-click the .zip file to unzip it. 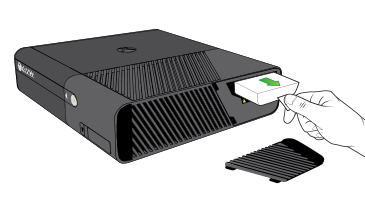 Remove all console storage devices, including any USB flash drives, external hard drives, or the internal hard drive on the Xbox 360 E console or Xbox 360 S console. On the right side of the console, locate the hard drive cover release (near the back of the console). 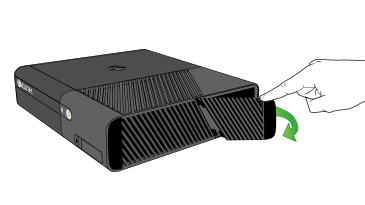 Slide the release toward the front of the console while pulling the hard drive door open. Disconnect your console from your modem. Re-connect your modem to your router and your then console to your router.